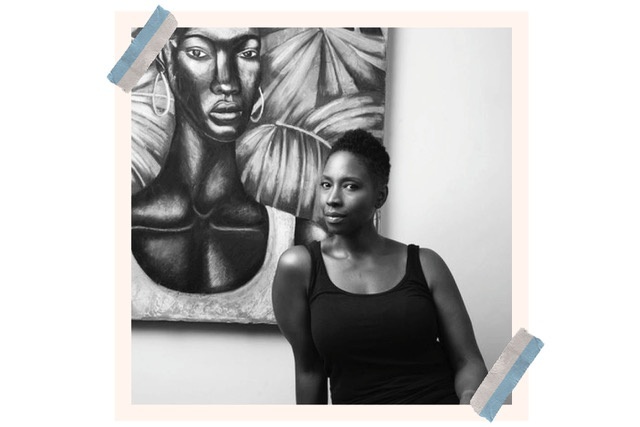 The artist sits down talk with us all about inspiration and all the mediums she's inspired by. Name, age, where you live. Give us an overview of your career. For the past 20+ years I’ve been creating fine art, designing and manufacturing bespoke rugs for residential, commercial and hospitality spaces. Now my art + design practice includes making one of a kind clay sculptures. Tell us a little bit about what you’re doing now. Currently I’m hand building vessels and sculptures in clay. I use my experience in painting and textile design to turn each surface and form into a one of a kind work of art. You launched Malene B in 2009. What was that like? I launched my business during the worst economic time, and I bought and renovated a house at the same time. Of course now that I look back, it was an ambitious thing to do, but I give myself a standing ovation every time I think about how I persevered through the most challenging moments of my life. I started building the Malene B brand with 6 carpet samples, networked like crazy and exhibited at trade show called HD Boutique in Miami, FL. What did you do before? What was it that made you just do it? For 10 years, I worked as a designer for textile and rug manufacturers prior to launching Malene B. During those years I studied the industry and I always dreamed of having my own business. In 2008 my contract was ending in December of that same year, so I used the opportunity to go for it and start my own bespoke rug collection. I’m inspired by my African heritage, West African architecture, art and textiles. As well as cultures from around the world. How would you describe your style, not just in your art but in your home and your clothing? My style is bold, colorful, pattern heavy, African, and modern. My fashion and home aesthetics are in sync with each other. You recently completed an artist residency at Greenwich for ceramics. What compelled you to switch from rugs and textiles, where you were such an established name? I was no longer happy solely designing rugs because my creativity was being stifled by projects that were based on clients sensibilities. I wanted to get back to making art with my own hands and this is how I discovered clay. I’m not afraid to take a different path, because I believe change makes life more interesting. The residency experience at Greenwich House Pottery confirmed my decision for change. I’m so happy I decided to explore new mediums. You work with textiles, ceramics, and painting. How do you approach these mediums differently? In my mind they go hand in hand. Each medium carries a special technique, I tap into its ability, and create one of a kind works of art. Do you have a favorite? Does changing it up satisfy and challenge your creativity in different ways? Currently my favorite medium is clay, but I’m able to use my experience from designing rugs and painting into my clay practice. I prefer to explore different mediums because it satisfies my desire for change. Do you ever have creative blocks? What do you do to get through them? Sure! When this happens I call my bestie. Once we start running our mouths, well it’s generally me running my mouth..LOL!! The answers start to appear. It’s been working for more than 30 years. How has your art changed through the years? My figurative work has become more realistic, and I’m using bolder color palettes and stronger graphic motifs in patterns. Culturally, aging is viewed as this sad thing. In reality, I don’t know about you, but I certainly don’t feel bad or sad. I feel better than ever. How do you want to change the conversation around aging? In African culture aging is not an issue. We give the highest respect to our elders, so the desire to become an elder in the community is a position of aspiration. This society doesn’t embrace aging because of the change in our physical appearances are not considered beautiful. Personally, I’m starting to see the signs from aging such as gray hair, wrinkles etc. Instead of feeling sad, look in the mirror, embrace all of the changes, and express gratitude for being present to see the changes. It’s an action we all can do to start changing the conversation around aging. An article on Medium.com called White Fantasies, Colorful Interiors-The problem with cultural appropriation in home design. What’s your go-to hostess gift? I like to visit your home first before getting a gift. I hate purchasing gifts without knowing the persons style. Do you have any family traditions? Yes! My sisters and I all love buttercream frosting. Give us a slice of cake, we eat the cake first then the frosting. We’ve been doing this for years. Most recently, its from my boyfriend, it’s a standing case that holds my clay tools. I like practical gifts. Do you have any seasonal traditions? Summer? Holidays? I take the last week of August off, whether I travel or not. Also during Labor Day I do my best to find one soca or reggae fete to celebrate Carnival. A dining table and 8 chairs. I’m finally decorating my home. I grant everyone the power to be knowledgeable and have empathy towards Black people and culture. I’m armed and dangerous, Knowledge is my weapon.